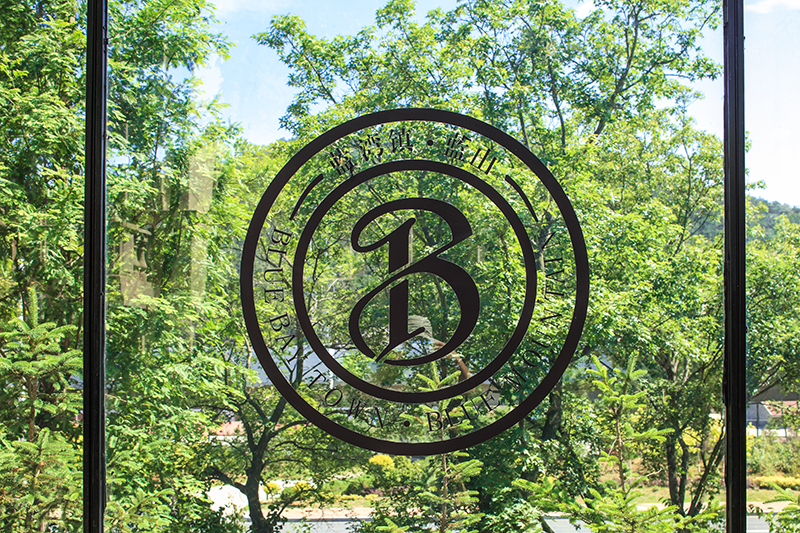 In addition to being the design architect, interior designer and landscape designer, DDG was also responsible for the Blue Mountain Graphics and Wayfinding. 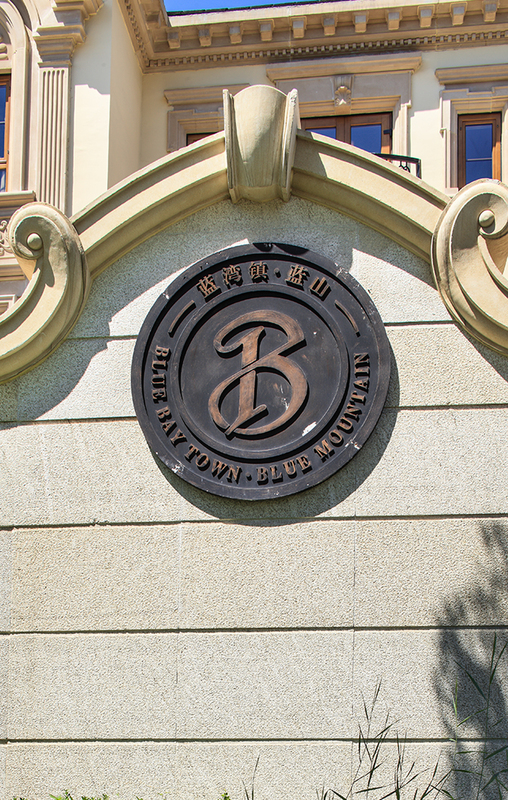 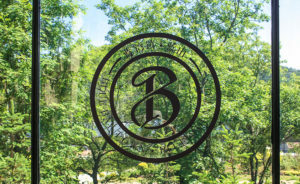 Nestled within the coastal hills of Dalian, China, lies Blue Mountain, a luxurious residential destination with environmental graphics inspired by the rich detail of traditional French culture. 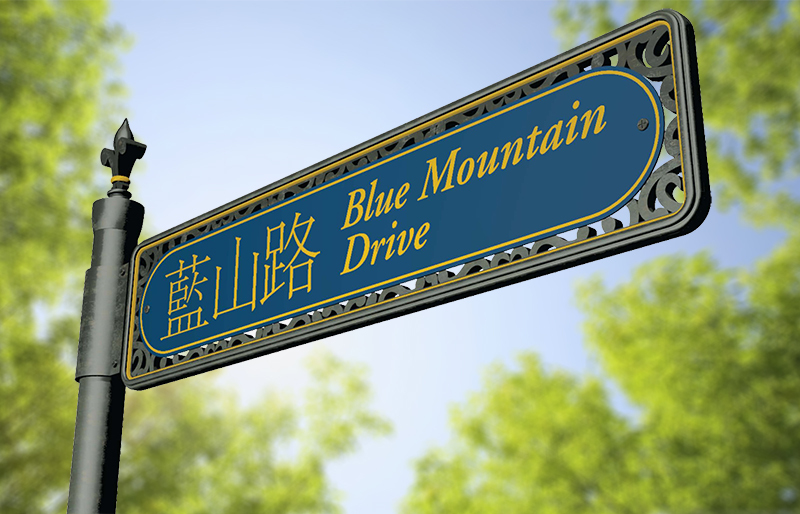 Neighborhood monuments and elaborate project entries announce the eloquently planned landscape and residences within Blue Mountain. 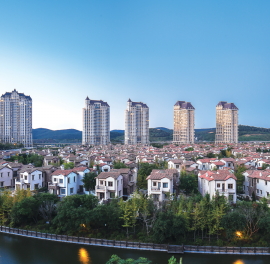 The tiered grandeur of cast stone celebrates the architecture while the details evoke a sense of distinction. 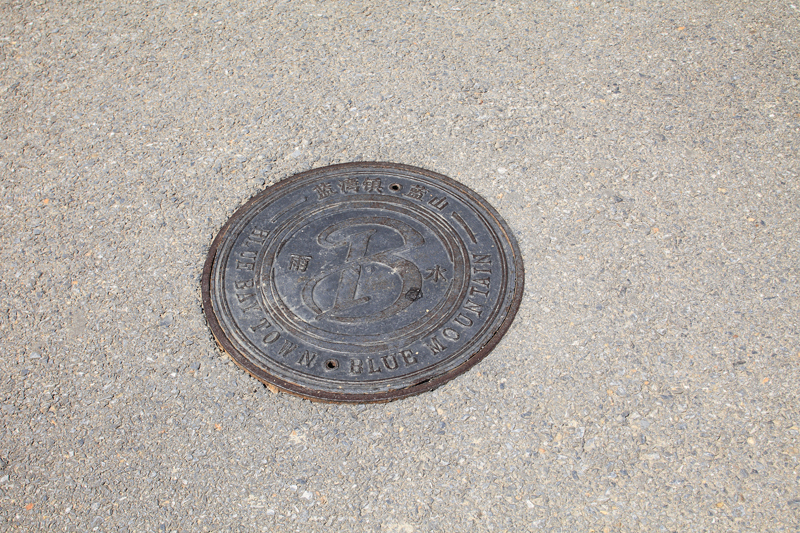 The pedestrian walkways feature decorative cast bronze medallions that celebrate the beauty of the surrounding vista. 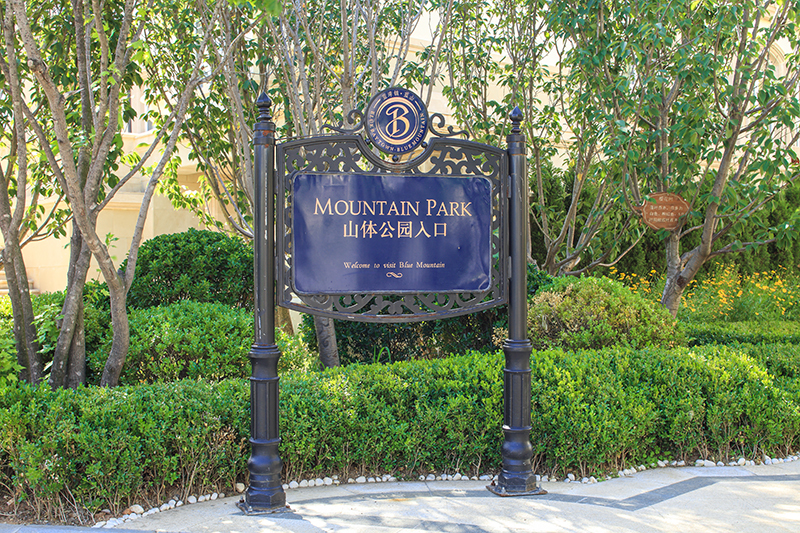 The signage and graphics are composed of dense wrought iron filigree, embellished with gold trim. 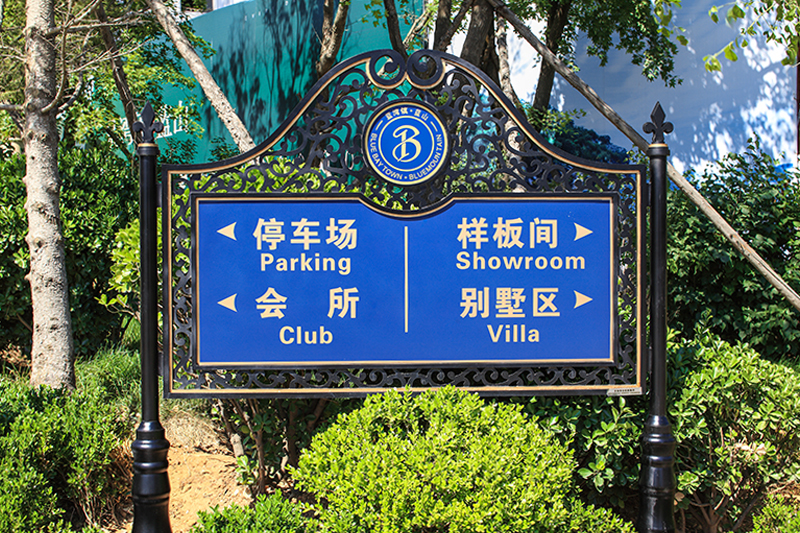 This scrollwork creates a sophisticated appearance, while the project’s signature blue clearly communicates each sign message and also reiterates the community brand.